This is the theatrical trailer for Andy Warhol’s classic film Sleep. The pop artist man is Andy Warhol. The Observer June 12, 1966 does a big spread on Warhol. He deserves I must say a big spread. He is a very important man today in expressing this whole situation of the absurd. He is the man who paints all the Campbell Soup cans, but there is something very interesting about painting the Campbell Soup cans that I found out, and that is that he doesn’t paint them, but they have what they call the factory. His assistants make them from a silk screen and they sell them for $8000.00 a piece. I think now you are in the game of absurdity. The people who are really in this understand that the reason they go through the motions of a game is because that is all there is. What you do is fill up time. You could do the opposite thing, it really doesn’t matter. 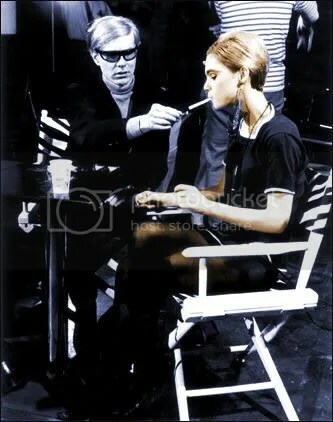 (That is why Warhol does not direct in his films.) None of that matters. 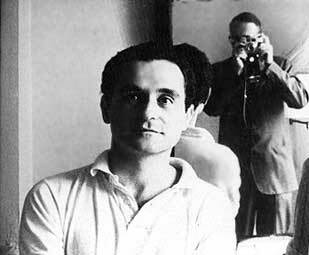 John Giorno was the star of Sleep and an early boyfriend of Andy Warhol prior to the Factory – when Warhol was using an old fire station as his studio. Giorno continues to do performances internationally and to write poetry. 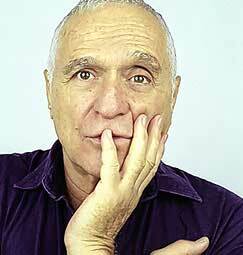 Our interviews with Warhol’s friends and collaborators continue with John Giorno, 65, poet, Aids activist, friend and confidant of Warhol and subject of his film, Sleep. Interviews by Catherine Morrison. The first time I met Andy was at his first solo New York Pop show in Eleanor Ward’s Stable gallery in the fall of 1962, but it was at a friend’s dinner party around that time that we really got to know each other. For the next two years we were very close; we saw each other every day, or every other day. We used to go to Jonas Mekas’s Film-makers’ Cooperative in 1962 to watch these underground films. Andy saw them and said, “Why doesn’t somebody make a beautiful film?” So he did. He didn’t really know what he was doing; it was his first movie. We made it with a 16mm Bolex in my apartment but had to reshoot it a month later. The film jumped every 20 seconds as Andy rewound it. The second shoot was more successful but he didn’t know what to do with it for almost a year. The news that Warhol had made a movie triggered massive amounts of publicity. It was absurd – he was on the cover of Film Culture and Harper’s Bazaar before the movie was finished! In the end, 99% of the footage didn’t get used; he just looped together a few shots and it came out six hours long. You either really loved it or you hated it; I thought it was brilliant and daring. But then I loved so much of Andy’s work. I remember walking into the first Factory in 63 and seeing the silkscreen silver Elvises for the first time. They were like these jewels, radiating life and joy, and they were just lying on a dirty floor in an old firehouse! It was so exhilarating. He transformed my life. He wasn’t afraid of anything – if he had an idea, he acted on it. If it turned out lousy, so what? If it turned out well, then that was great. I didn’t see him much after 1964 although in the last year of his life, I saw him a lot, about a dozen times in seven months. I’m so glad now that I did see him and talk to him before he died. This video below from Jon Anderson was very helpful to me concerning Andy Warhol’s art. Size of this preview: 753 × 600 pixels. Other resolutions: 302 × 240 pixels | 603 × 480 pixels | 965 × 768 pixels | 1,280 × 1,019 pixels | 2,670 × 2,126 pixels. 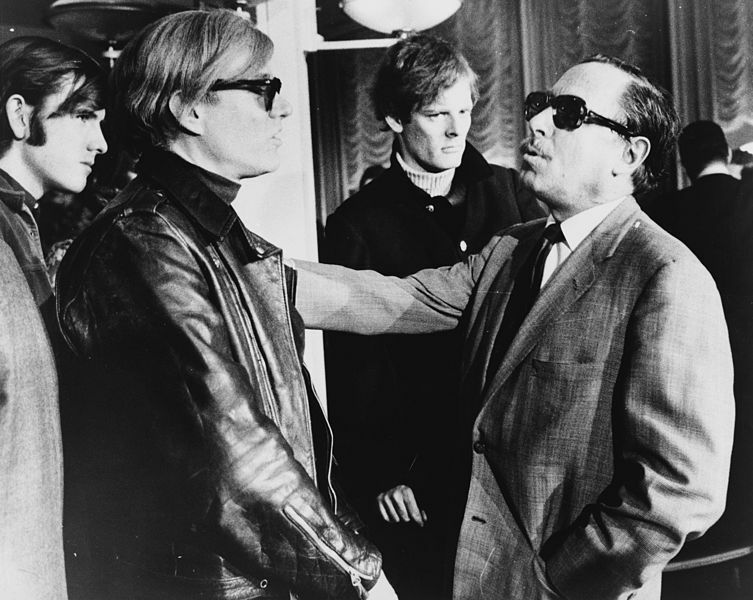 English: Andy Warhol (left) and Tennessee Williams (right) talking on the SS France, in the background: Paul Morrissey. More than one seemingly religious person’s secret sins have been exposed at their death; Warhol’s secrets were that he went to church and served at a soup kitchen. 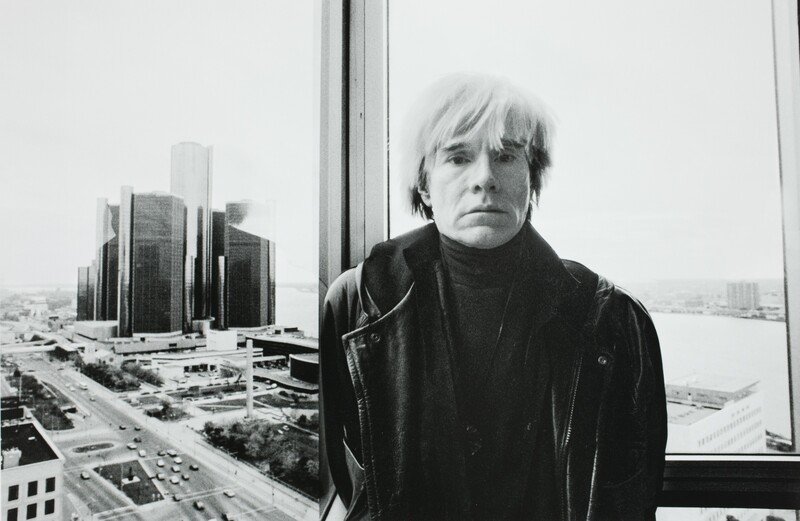 In his final self-portrait, Andy Warhol’s gaze is both perplexed and perplexing. Like the artist, everything about this work is suspended in a haze of mystery. Warhol probably had no expectation that this would be his final self-reflection, yet it’s hard to imagine him treating himself differently even if he had known. Warhol treated everything the same. Cool detachment was as much a trademark for Warhol as Campbell’s was for soup. Warhol’s coolness has often been read as cynicism, and it did involve a degree of distance, but only out of a perceived need for self-protection. 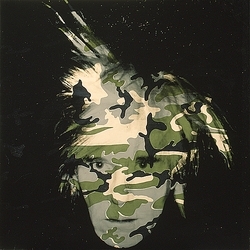 The seeming contradiction of Warhol’s Self-portrait, and indeed all of his work, is that he expresses himself without revealing anything about himself; he is at once alienated and self-alienating. There is scarcely a person in America whose life has not been affected—whether or not they know it—by the way Warhol transformed our understanding of our culture. Certainly there is no serious artist working today who has not been influenced by Warhol’s conversion of the banal world of consumer culture into the sacred realm of art. We see ourselves and our world reflected in the mirror of Warhol’s art, but the image has still not come into full focus. By the time he painted this last Self-portrait, Warhol had become the most famous artist in the world; but more than a decade later his art remains enigmatic. Warhol began his career in New York as an illustrator of women’s footwear, under his real name, Andrew Warhola. The darling of magazine editors, Warhol acquired the nickname “Candy Andy.” Perceptions of Warhol today have not changed much since then. There is, in fact, a great deal concealed beneath the surface of Warhol’s art. The surfaces of his works appear to be mechanical — an appearance Warhol emphasized by calling his studio “the Factory” and claiming to make art that could be done by anyone. The smooth veneer of silk-screening not only created a mechanical appearance, but his practice of reproducing already-reproduced images published in magazines and newspapers allowed Warhol to increase the degrees of separation between himself and his subjects. Nevertheless, Warhol continued to use imagery that had personal significance to him. Many of these images were spiritual ones, influenced by the Catholicism that permeates Warhol’s art. Despite reports that he went to church almost daily, some doubt the credibility of Warhol’s faith and even consider his work anti-Christian. 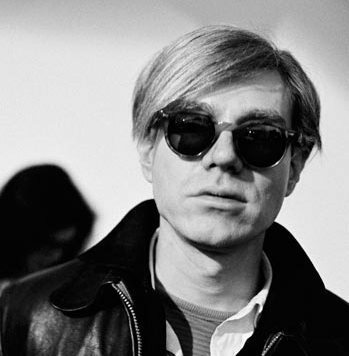 Warhol’s life was, admittedly, filled with contradictions. He was always trying to protect his true intentions, especially regarding his Catholicism. Many of Warhol’s friends did not know of his religious life until after his death. 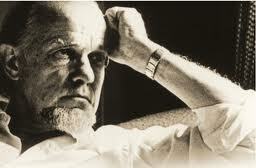 I’d like to recall a side of his character that he hid from all but his closest friends; his spiritual side. Those of you who knew him in circumstances that were the antithesis of spiritual may be surprised that such a side existed. But exist it did, and it’s key to the artist’s psyche. Although Andy was perceived—with some justice—as a passive observer who never imposed his beliefs on other people, he could on occasion be an effective proselytizer. To my certain knowledge, he was responsible for at least one conversion. He took considerable pride in financing his nephew’s studies for the priesthood. And he regularly helped out at a shelter serving meals to the homeless and hungry. Trust Andy to have kept these activities in the dark. The knowledge of this secret piety inevitably changes our perception of an artist who fooled the world into believing that his only obsessions were money, fame, glamour, and that he could be cool to the point of callousness. Never take Andy at face value…. With family roots in Byzantine-Slavic Catholicism, Warhol kept a homemade altar with a crucifix and well-worn prayer book beside his bed. He frequently visited Saint Vincent Ferrer’s Church on Lexington Avenue. The pastor of Saint Vincent’s confirmed that Warhol visited the church almost daily. He would come in mid-afternoon, light a candle, and pray for fifteen minutes, sometimes making use of the intimacy of the private chapels. The pastor described Warhol as intensely shy and private, especially regarding his religion. Warhol’s brother has characterized him as “really religious, but he didn’t want people to know about that because [it was] private.” For someone so bent on self-protection, Warhol’s efforts to keep his religious life a secret may indicate just how important his faith was to him. Do these religious revelations offer insight into Warhol’s art? They do; perhaps more than has yet been appreciated by either the art or Christian worlds. Warhol’s consumer imagery at first seems obsessed with the external world of contemporary culture to the exclusion of the internal life of faith. But there is also a persistent longing for something more, a hunger that is evident in the last Self-portrait and, most famously, in those cans of Campbell’s soup. In order to see this religious dimension, we must regain our sense of the sacramental—the use of material things as vehicles for encountering the divine and enabling eternity to break into time and space. Warhol’s pop art, often criticized as mere regurgitation of advertising, actually displaces images from their original context in the commercial world, transporting them to the realm of art, collapsing the distance between the two, and creating new associations and meanings. The Campbell’s soup can, one of Warhol’s most famous motifs, thus becomes another self-portrait of the artist. The can, like Warhol’s public persona, is cool, metallic, machine-made, impenetrable, a mirror of its surroundings. These qualities, superficial though they are, nevertheless seduce the eye. But what completes this self-portrait are the can’s contents; they should be the most significant part, but actually have very little in common with the can’s exterior. Soup, a warm source of nourishment, is a sensitive element that will not survive long outside of a protective container. Hidden beneath supermarket imagery, Warhol’s faith is sealed for protection. While carefully keeping himself secure inside, Warhol succeeded in making everyone believe that the soup can should be the focus of attention. Some have become enraptured by their own reflection on its metallic surface. Others have complained that Warhol and his art are hollow. Very few have attempted to open the can and find out what’s inside. Warhol’s creative gift was an ability to bring subjects into spiritual equilibrium. He treated ultra-glamorous movie stars and anonymous police arrest photos with the same combination of contempt and envy. Warhol used consumer items more than just as mirrors of his time. What seems to have attracted him to Coca-Cola bottles and Campbell’s soup cans, as in 200 Campbell’s Soup Cans, was a sense of comfort, belonging and equality. 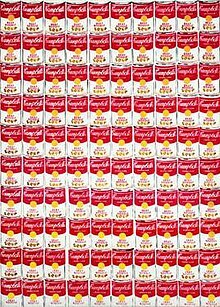 Warhol admitted that one reason he was attracted to the imagery of Campbell’s soup was that he had eaten Campbell’s soup nearly every day as a boy. Soup, of course, is a nearly global icon of home, but Campbell’s is a distinctly American icon. For Warhol, growing up in a poor immigrant family struggling to find its place in a new homeland, Campbell’s soup probably offered a reassuring sense of belonging. Living in New York City, Warhol undoubtedly experienced the way cities have of exaggerating the distance between wealth and poverty even while juxtaposing them. Perhaps reinforced by the piety and poverty of his childhood, Warhol may have looked forward to the equality of heaven, with the mechanical nature of his work forecasting an eternal destiny. Warhol’s strategy of representing heaven by repeated images has been linked to Byzantine icons, which limit individual creativity in favor of a standardized form. Warhol’s work has a certain hypnotic rhythm, not unlike the rosary. This repetition also suggests that the image could extend infinitely, giving us a glimpse into eternity through everyday reality. 200 Campbell’s Soup Cans celebrates more than social egalitarianism. But in a critique of America’s emergent consumer religion, 200 Campbell’s Soup Cans also joins a long artistic tradition of vanitas images, in which lavish displays of wealth are offset by reminders of life’s fleeting nature and the inevitable final judgment. Warhol’s references to religious themes increased throughout his career, culminating in his most overtly religious and plainly sacramental works, patterned after Leonardo da Vinci’s Last Supper. Warhol made more than one hundred works based on Leonardo’s image, but until recently these works received very little attention. Many things may have drawn Warhol to the Last Supper, including the fact that Warhol’s own art often dealt with food as a symbol of heaven. Warhol’s Catholicism asserted the miracle of transubstantiation, in which food—bread and wine—becomes a heavenly substance. Warhol may have accessed Leonardo’s imagery to set himself within a certain tradition of religious art. Leonardo brought out the classical and realist artist in Warhol, even though the meaning of “classical” and “real” had radically changed in the five hundred years separating them. Leonardo’s breakthroughs in artistic perspective had radically brought the Christ figure into the viewer’s world; Warhol brought Leonardo down off the wall, and in so doing brought Christ and the sacrament of the Eucharist into his world. Indeed, Warhol’s interest in Campbell’s soup and the Last Supper are linked. Remember, Warhol said that his attraction to Campbell’s soup was that he had eaten it every day as a child. Warhol’s brother recalled that a reproduction of the Last Supper hung on their family’s kitchen wall. As Warhol sat eating his soup, he ate under the watchful presence of Christ. Mrs. Warhola’s prayer card bears a remarkable resemblance to Warhol’s art, for it has reworked its subject significantly: the figure of Matthew is shifted, and Christ is given a golden halo — changes probably made to invigorate the viewer’s devotion. 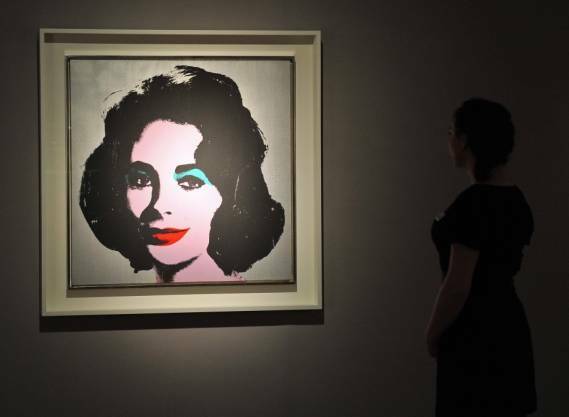 Is it too unlikely to suppose that Warhol’s art had the same intent? Works like Last Supper (Dove) bring together brand name products from the supermarket and the sacramental imagery of the church, asserting that modern life and faith are neither separate nor contradictory. Each makes the other more real and meaningful. The dove, descending from above Christ like a halo, represents the Holy Spirit; the General Electric sign (with its own halo) is a symbol of the Son. It doesn’t take much imagination to connect GE with the light of the world, but there is an even subtler meaning to this sign: GE’s slogan, “We bring good things to life,” points to the resurrection and eternal life. Warhol died of unexpected complications from routine surgery on February 22, 1987, making the Last Supper images a fitting, if unintentional, conclusion for Warhol’s art. They show Christ in a creative and transformative action. Artistic transubstantiation allowed Warhol to identify with Christ, to see Christ as an artist and to see art as a sanctifying activity. Indeed, Warhol’s approach to art and Christianity exemplify what H. Richard Niebuhr, in Christ and Culture, famously called “Christ the Transformer of Culture.” Just as Christ transformed common bread and wine into the holy sacraments, Warhol transformed everyday imagery into art. The popularity of Warhol’s work is a reflection of our own hunger for such transformation. Like all art, it raises questions: Are we hungry enough to accept anything offered to us? How are we to be discerning? Was Warhol discerning? If we are to “test each spirit,” should we filter out Warhol? Was Warhol so hungry for something divine that he too easily accepted substitutes for the one thing that would satisfy him? If we consider the disreputable company Warhol kept, our answer to the last question might be yes. Maybe Campbell’s soup was no more than a commercial substitute for a spiritual hunger. But the spiritual sincerity and artistic complexities of his last works suggest that Andy Warhol’s faith and art cannot be so easily dismissed. James Romaine is an art historian who lives in New York, and the author of “Objects of Grace: Conversations on Creativity and Faith.”This article originally appeared in Regeneration Quarterly. Copyright 2003, James Romaine.All rights reserved. chair pictures and the dogs in Birmingham and car wrecks and some suicide pictures. Why did you start these“Death”pictures? it’s almost impossible to get pictures from them.Why did you start with the “Death” series? over and over again, it doesn’t really have any effect. Today I started off by posting some comments that Andy Warhol made about his films and Schaeffer noted that there was no directing of these films because it doesn’t matter in the end anyway because it is all left to time and chance. One of those films is called EAT and it stars Robert Indiana eating for a hour and a cat gets on his shoulder at one point and he pets the cat. Robert is the artist that I am featuring today and at the end of this post I am taking him to task for his view that we can have hope in a materialistic world without God in the picture. 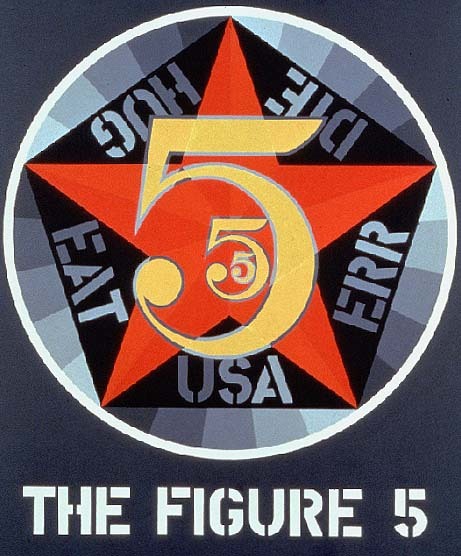 Kennedy was at the beginning of his notable career as a freelance photojournalist in New York in 1963 when he met the two rising stars of Pop art, the 34-year-old Robert Indiana and the 33-year-old Andy Warhol. This photograph was taken at the opening of the exhibition Americans 1963, which featured several works by Indiana and fourteen other contemporary artists, though none by Warhol. The exhibition was organized by the Museum of Modern Art, to which Indiana had sold a painting two years earlier. Shortly thereafter Indiana would go on to design a Christmas card for that museum, which marked the debut of what would become the painter’s iconic image, LOVE. Robert Indiana, elusive Pop-Art legend, offers a private view into the events, people and places that have shaped his art. Filmed on location at Indiana’s island home, the film, narrated by Indiana in an exclusive interview, details the pictorial memoir he has assembled about his long life, from his origins in the state he made his namesake to his role in the creation of the Pop- Art movement in downtown New York through his involvement in the Museum of Modern Art, his eventual disillusionment with the New York art scene, and the great resurgence of interest in his work both in Europe and the United States, as he takes stock of his life and legacy. 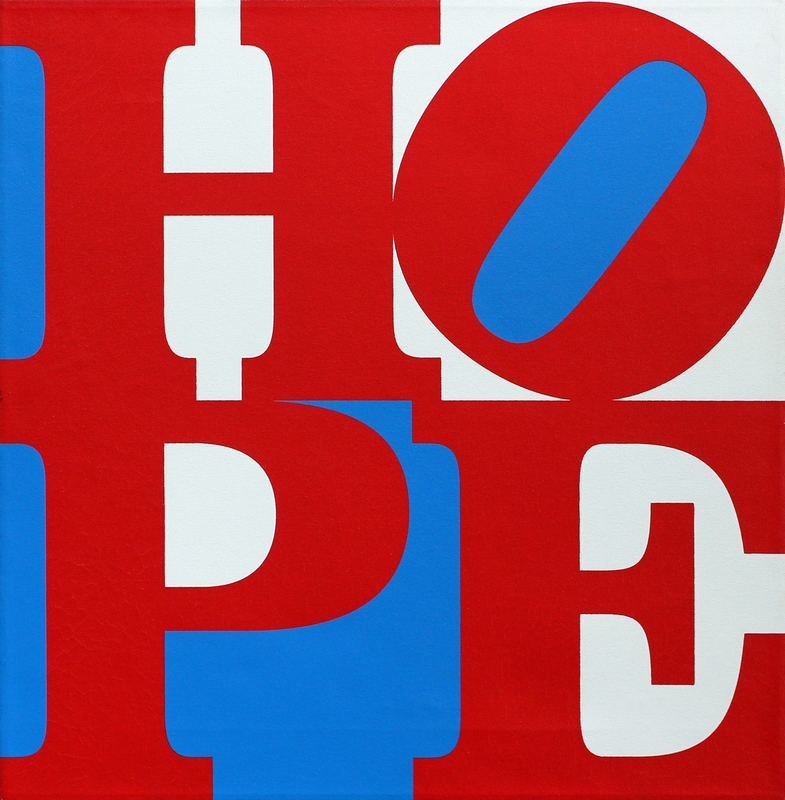 Robert Indiana, who was born Robert Clark in 1928, first emerged on the wave of Pop Art that engulfed the art world in the early 1960s. Bold and visually dazzling, his work embraced the vocabulary of highway signs and roadside entertainments that were commonplace in post war America. Presciently, he used words to explore themes of American identity, racial injustice, and the illusion and disillusion of love. The appearance in 1966 of what became his signature image, ‘LOVE’, and its subsequent proliferation on unauthorized products, eclipsed the public’s understanding of the emotional poignancy and symbolic complexity of his art. This retrospective will reveal an artist whose work, far from being unabashedly optimistic and affirmative, addresses the most fundamental issues facing humanity—love, death, sin, and forgiveness—giving new meaning to our understanding of the ambiguities of the American Dream and the plight of the individual in a pluralistic society. An 8-minute preview of American INSIGHT’s half-hour documentary-in-progress celebrates the artistic ingenuity of American Pop artist Robert Indiana, who considers Philadelphia his spiritual home. Creator of one of the world’s most famous statues, Indiana remains virtually anonymous to younger generations, yet highly prolific. Since 1969, he has lived and worked on an island 15 miles off the coast of Maine. Inventing, but never patenting, the iconic LOVE statue, Indiana continues to use words and typographic forms to define his distinctive approach to both language and art. Exploring the boundaries of shape, line, color theory, and meaning within letters and signs, he challenges our traditional conventions of language and art. From large sculpture installations to hard-edged paintings, Indiana incorporates the lyrical nature of poetry while expanding the boundaries of our visual thinking. American INSIGHT has captured hours of rare footage containing both intimate conversations with him and several public appearances during the past decade: the only such footage taken of this intensely private man during that time. This movie was made in 1964. This is, the entire movie. Eat is filmed in black-and-white, has no soundtrack, and depicts fellow pop artist Robert Indiana engaged in the process of eating for the entire length of the film. The comestible being consumed is apparently a mushroom. Finally, notice is also taken of a brief appearance made by a cat. The following are the films directed or produced by Andy Warhol. Fifty of the films have been preserved by the Museum of Modern Art. Jump up ^ “Andy Warhol’s ‘lost’ movies uncovered”. BBC News. Retrieved 2012-03-07. Andy Warhol talks to Edward Lucie Smith about portrait painting, his choice of subject, his work process, wanting to paint as many pictures as he can, his love of his Sony Walkman, his favourite subject, his dislike of feelings and emotions, his sense of time and ageing and his affection for everyone. Factory People, episode 1, clip 1 out of 4. The Swedish title is Andy Warhol och hans Factory, and it is in English with Swedish subtitles. This was recorded from free DVB-T television using an Elgato EveTV Hybrid receiver. I used the rudimentary editor within the EyeTV software and exported the clips in H.264/MPEG-4 format, usually four snippets per episode. if this violates any copyright law, then I am sorry. Just remove the clip, block it or ask me to remove the clip and I will promptly take it down. I am just a fan, not in the business of making any money or anything else from this. Robert Indiana’s new message in 2010 was the word “Hope,” but how can that be attained without bringing God back into the picture? What hope does man have if we are just a product of chance? The people who are promoting this idea in the framework of a materialist worldview are taking a leap into the area of nonreason. futility of an empty, deterministic universe. and its influence on earth, man‟s soul, unity) from the rational sphere. shaped our thinking, our culture, and our theology…. but to make an irrational “leap of faith”. (Karl Barth). The hope of finding a unified field of knowledge is gone. (1905-80) talked about „authenticating‟ yourself by an act of the will. The irony of modern man, according to Schaeffer, is that this autonomous intellectual enterprise initiated through man’s self-confidence in his power to independently reason his way to the answers, has ended, not in the triumph of rationality, but in its actual abandonment. By clinging to his autonomy, man has lost his rationality. His reason has been engulfed by his rationalism. Man remains at the center of the universe, still clinging to a hope, but without any rational basis. putting man right with God.